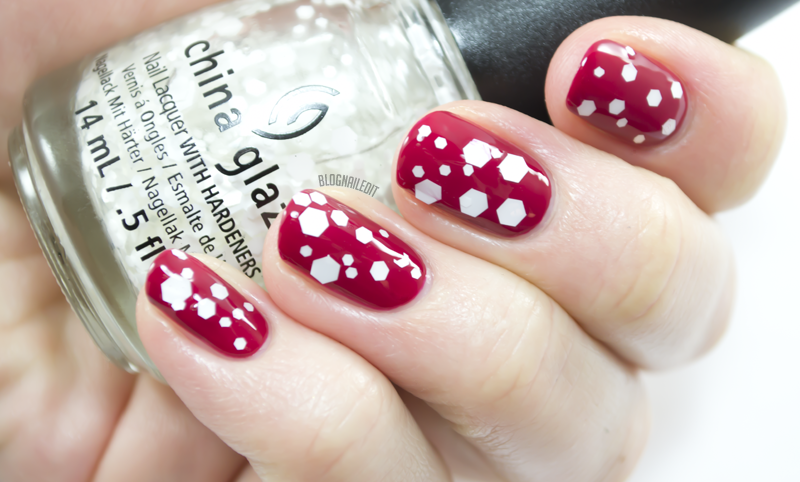 This winter collection from China Glaze is one I really enjoyed! Unlike some past CG winter collections, Twinkle doesn't focus heavily on the Christmas aspect of winter. It does have a few Christmas colors, which is fine (especially since one of them's a glitter), but the focus is cold, crisp winter. Inspired by this crispness, I opted to do a negative space mani, since it's all the rage right now! The Spring/Summer 2015 runways were full of designs using...or rather not using...empty space. I liked how clean the lines were, and how it made my fingers look. The charcoal grey creme is just one of the 12 colors in the Twinkle collection, called Out Like a Light. Shown here in 2 coats, Out Like a Light is a gorgeous dark grey creme. I loved how cleanly it went on. I mean, check out that reflection! December to Remember (2 coats) is a dusty blue with a light pink shimmer. It's a little streaky. Another shiny finish, No Peeking! (2 coats) is a pretty dark purple mauve. Tip Your Hat (2 coats) is the stereotypical "red in a winter collection", but it's gorgeous! It's a solid red with a little bit of burgundy. See that slight tinge of pink that cools the whole color down? On top of that, I layered the most interesting and most interestingly named polish, Chillin' With My Snow-Mies, which is clear polish full of matte white hexagonal glitter in different sizes. I love this one! Define Good... (2 coats) is a super shiny mulberry wine. Need a good silver chrome? Try I'd Melt for You (2 coats). It went on really well, and it shines pretty bright! Meet Me Under the Stars (3 coats) is a super dark navy jelly with black and silver glitter pieces. I wish I'd done a version of this in matte, I think that would be an awesome effect! Feeling Twinkly is more of a top coat than a polish, but I've shown it here with a ton of coats in case you wanted to use it as a regular polish. All the royal blue glitter is microglitter, and it's all the same size. Another topper, Pine-ing for Glitter (5 coats) can be used on its own with enough coats. I used 5 for this swatch. 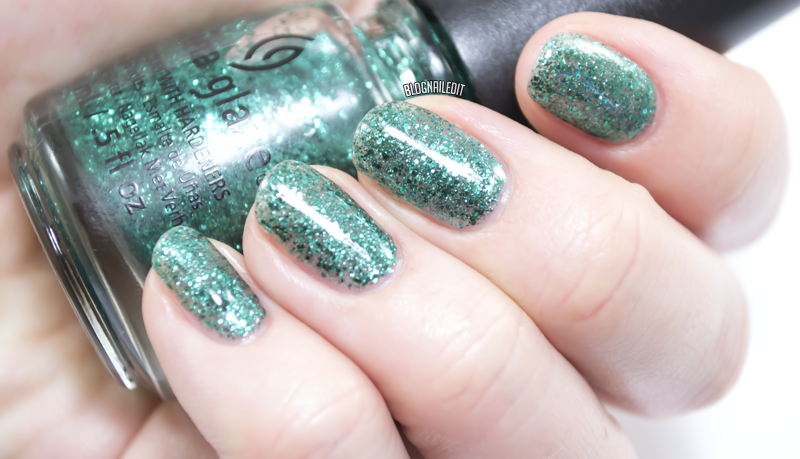 This polish has slightly different sized glitter, rather than all the same size like Feeling Twinkly. 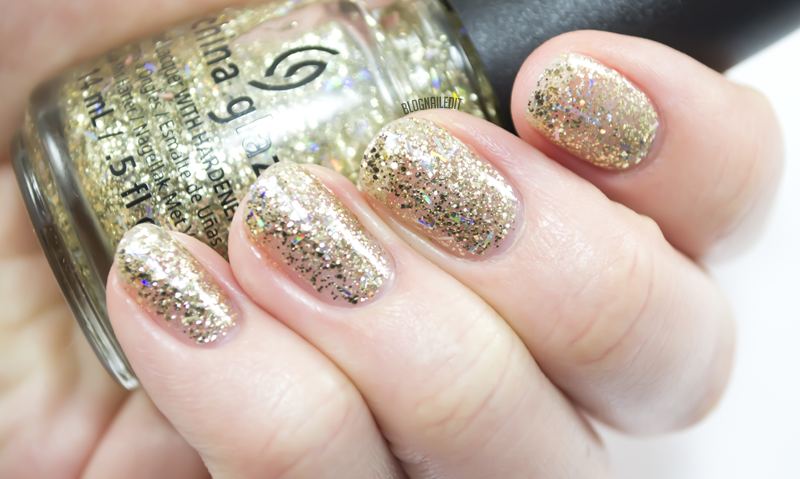 This twinkly goddess is De-Light (3 coats), which is a classic gold glitter with specs of rainbow bar glitter scattered throughout. 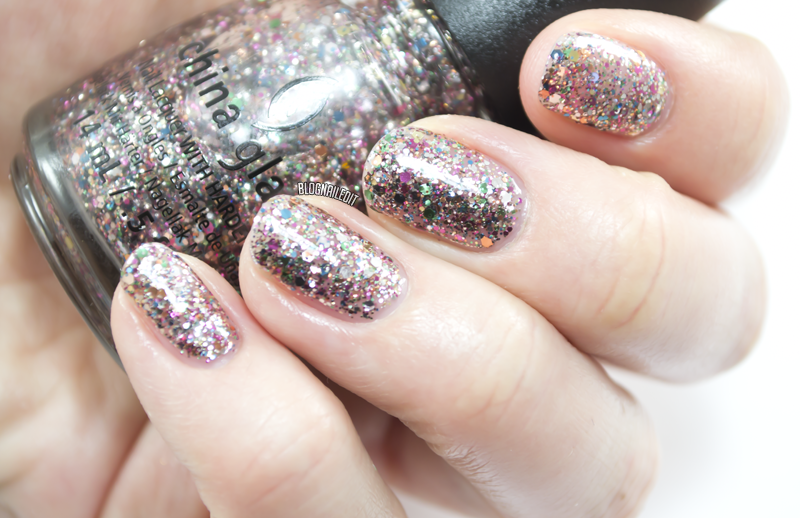 Rounding out all this twinkle is Dancing and Prancing (3 coats). It's really just an explosion of all sorts of colors and shapes. It's super dense and as my notes say, "really freakin' sparkly"! I loved almost every color in the Twinkle collection, especially the two cremes and De-Light. 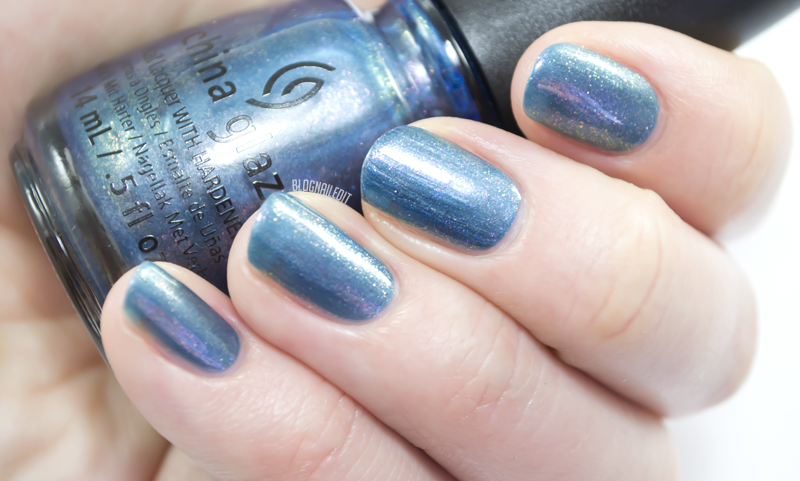 I'm also really looking forward to the newest China Glaze collection, Road Trip, hopefully being reviewed soon! 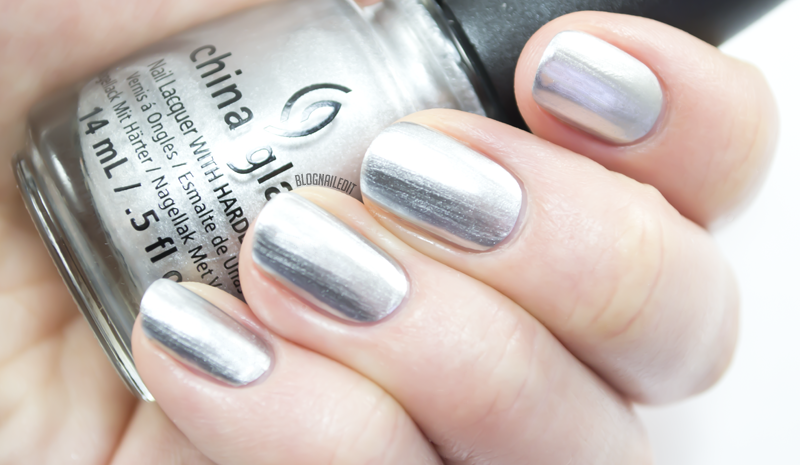 You can pick up the colors of Twinkle from China Glaze here, or at plenty of polish retailers around the country! Out Like A Light is AMAZING, grey is my favourite colour (or shade, whatever :) #swoon!!! That negative space mani looks so great.